The Swedish Stridsvagn m/41 Tank is a licensed copy of the tank used successfully in WW2 by the Germans which they called the Panzer 38(t). It was built in Sweden. 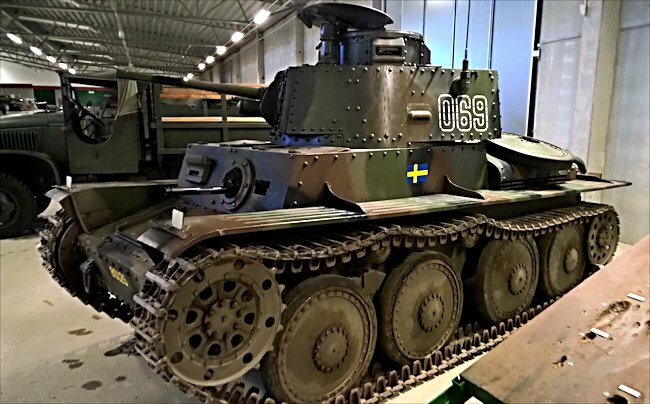 In 1941 a document in the Swedish Military archives showed that on 30th April 1941 the Swedish Army had 48 Strv m/37 tanks, 16 Strv m/38 tanks and 20 Strv m/39 tanks. It recorded that it had on order a further 100 Strv m/40 tanks that were due to be delivered by the end of the year. It also noted that 116 licensed Czech TNH m/41 tanks were being built in Sweden and that it was expected that they should start to be delivered to the Army by the summer of 1942. But what is the story behind this document? In March 1940, a Swedish order of 90 tanks of the type TNH from BMM (Böhmisch-Mährische Maschinenfabrik, a Czech company formerly known as CKD (Ceskomoravska-Kolben-Dan ěk) was cancelled by the German Army. They seized the tanks, named them the Panzer 38(t) S and put them into the front line in the invasion of France and then Russia. Sweden was annoyed but still very interested in the Czechoslovak tank. In December 1940 Sweden negotiated a license to produce the Czech tank in Sweden from the German authorities. The funds previously allocated to buying the Czech TNH tanks were still available to pay for the license and fund the tanks production. The Swedish company Scania-Vabis was instructed to build 116 tanks. They were delivered between December 1942 and August 1943, three years later than originally planned. The tanks were given the Swedish Army name Stridsvagn m/41. When the Swedish Army eventually took possession of the newly built Strv m/41 tanks in late 1942 these tanks were nearly obsolete compared with the modern tank designs of the Russians, Germans and Allies. The m/41's armored hull was riveted not welded. It made production easy and fast but the joints were weak spots that would easily split. The rivets fractured when hit by an enemy shell and caused fatal injuries to the tank crew. The Stridsvagn m/41 tank was armed with a Swedish 37 mm Bofors gun and two 8 mm machine guns m/39. (Many foreign tanks of that period were armed with 75mm cannons.) It was powered by a Scania-Vabis type 1664 in-line 6-cylinder water cooled overhead valve engine that produced 142hp. It was the same engine used in the Strv m/40 L tank. The exterior design of the Swedish built Strv m/41 version of the Czech built Panzer 38(t) differed in a number of ways. The frontal armour on the hull and turret was slightly thicker. The angle of the front glacis plate is different. 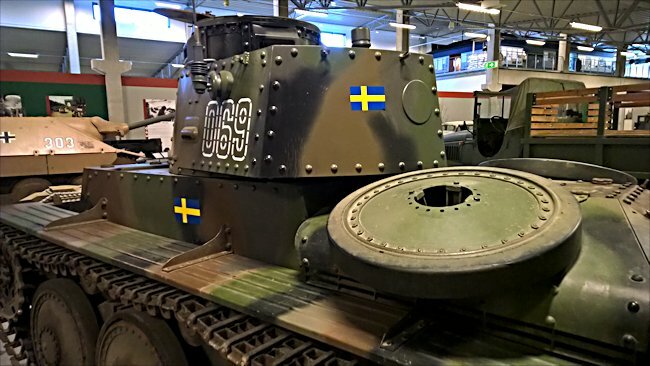 The rear part of the Swedish tank's turret roof was straightened out to give more space. It does not slope downwards. It is more box like. One year after the initial order for 116 Strv m/41 tanks the Swedish Government placed a second order for additional 122 m/41 tanks (only 104 would be built as tanks - the remainder were converted into SAV m/43 self propelled assault guns). The second tank order would have been greater if the Swedish manufacturer Scania-Vabis had had a greater production capacity. The Government perceived the battle tested cheaper Czech designed tank as a better option than Swedish designed Strv m/40 built by Landsverk, even though from from an international perspective it was hopelessly out of date. The new batch of Strv m/41 tanks were strengthened with the addition of thicker frontal armour plating. It was fitted with a more powerful Scania-Vabis L-603 engine that could produce 160hp. The chassis had to be extended by 65mm to make room for the bigger engine. This meant that the gap between the second and third large road wheels was increased. This also enabled the size of the fuel tank to be increased to give the tank a longer range. It was increased form 190 to 230 litres. The new batch of m/41 tanks were given the designation Strv m/41 SII and the older original batch of tanks were renamed Strv m/41 SI. The Strv m/41 SII tank on display in the Arsenalen Tank Museum shown in the above photographs is not original. None exist. 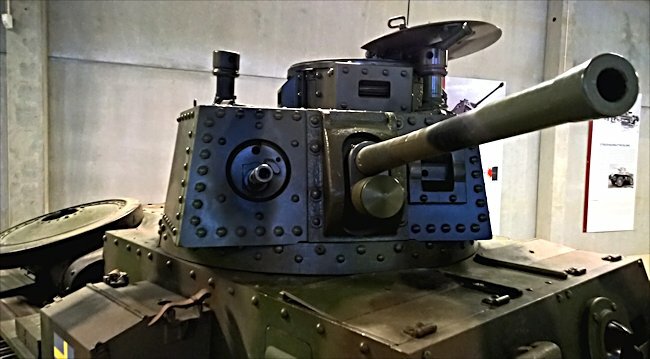 This tank was rebuilt to the original plans from one of the SAV m/43 self propelled guns. 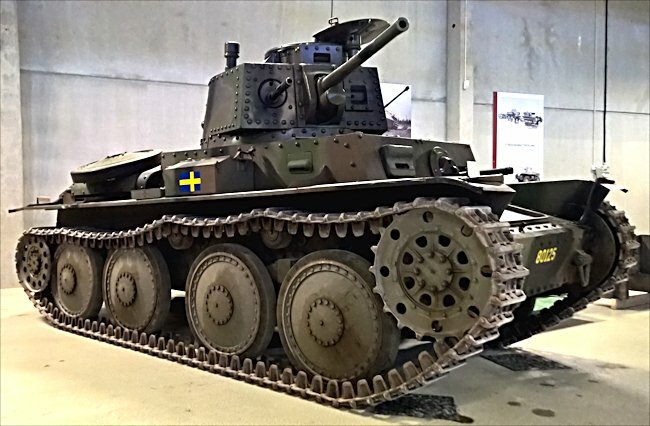 The Chassis is original but the top of the vehicle has been rebuilt in order to be able to show what a Swedish built Strv m/41 looked like to the visitors. What is the difference between the Strv m/41 SI and m/41 SII tanks? Where can I find preserved other Stridsvagn m/41 tanks?